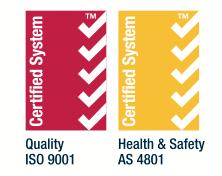 At FITT Resources, we’re committed to making the highest quality products available to Australian industry, This means we’re constantly looking to expand our product line to meet our customers’ changing needs and in response to the latest industry and technological developments. This is why FITT Resources is now able to supply Smith & Loveless EVERLAST wastewater pumping systems to our customers throughout Australia. Smith & Loveless is renowned for producing safe to operate, highly efficient and long-lasting wastewater pumping stations, with its EVERLAST range leading the way. EVERLAST wet well mounted pump stations have consistently been shown to have lower life-cycle costs and to be safer to operate than submersible pumps. 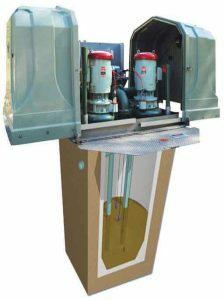 Smith & Loveless EVERLAST above-grade pumping systems feature lift stations located at ground level, which means wet well entry isn’t needed for either inspection or maintenance, so there are none of the problems that working in a confined space present. This has the advantage of not only ensuring a safer working environment, but reducing operating and maintenance costs as well. In addition, EVERLAST above-ground wastewater pumping stations are acknowledged worldwide for their robust construction and long service life, which further contributes to significantly lowering ownership costs. When you choose an EVERLAST pump station, you also have the advantage of being able to combine a standard set up with additional advanced Smith & Loveless pumping technology, so that you can create the right configuration and pumping capability to meet your precise needs. With our Smith & Loveless above-grade pumping systems, you can also choose between tip-up or sliding hood styles, as well as either relay logic or S&L’s patented QUICKSMART controls. QUICKSMART enables you to monitor and adjust all of your pump station functions from one intuitive screen, and with added features you can also view the systems status, access your maintenance log, as well as get troubleshooting tips and lubrication suggestions. Contact us to learn more about the full range of EVERLAST wet well mounted pumping stations. 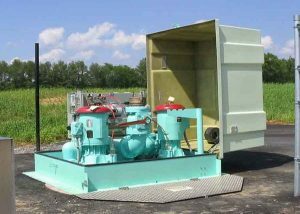 Whether you’re looking for advanced pumping technology, low life-cycle costs, operator-safe maintenance, or long service life, then Smith & Loveless wastewater pumping systems offer an ideal solution for Australian industry. 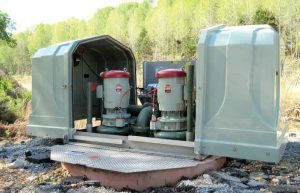 A recent study carried out by Smith & Loveless in the United States discovered that over time above ground pump stations deliver considerable operation and maintenance costs when compared to submersible pump stations.